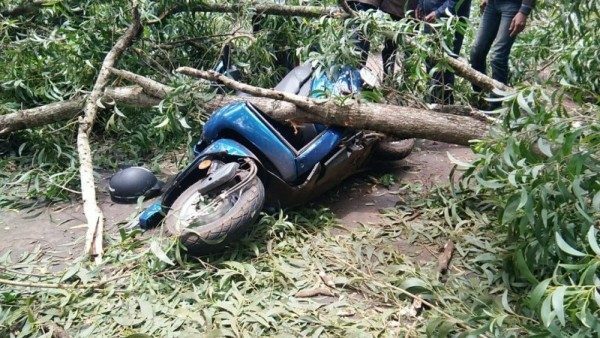 A tree fell on a moving scooter this morning near Argun Talav Vengurla road, in which two persons were injured, but the police say injuries are minor in nature. There was traffic jam after the incident after which the police and forest officials arrived and removed the fallen tree. Helmets save life and choose life.